One of the great things about affiliate marketing in the 21st century is being able to track all of the wonderful statistics, so you can refine your links and make more money. If you are looking to create your own website business, the best way to get started with affiliate marketing is to sign up with reliable, trustworthy, legitimate affiliate networks that have organized platforms. The nice thing about working with affiliate networks is that hundreds of merchants are grouped together, making it very easy to sign up and very simple to track your earnings and other statistics. I have been working with some of these networks over the last three years and I would like to show you which ones I feel are the top five. My ratings are based on a few different criteria. First and most importantly, I have judged the networks that have the best merchants according to my niche or subject. Obviously, I don’t want to use networks that represent mostly clothing outlets if I’m not linking to clothing. I would recommend taking a close look at each program’s affiliate marketing network list before you sign up, to see which companies they are working with. Secondly, when I first started I read a bunch of reviews on the different available networks and enrolled in those that had positive write-ups. There are networks that aren’t reliable and the reviews will shine a light on those. Click here to learn how to build a website! Lastly, finding the highest paying affiliate marketing programs in your niche will assure that your links are making the best commissions. Many companies only work through affiliate networks because they track all of the links, commissions, and payments. Below are the best affiliate networks for beginners, or anyone else interested in consolidating their merchants lists. ShareASale was one of the first networks I signed up with and I’ve done very well with a couple of their merchants. They represent Wayfair and MLBShop which are two of the top merchants I link to. 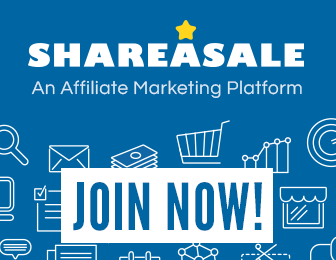 I find ShareASale to be the best affiliate network platform because it’s very easy to use, their linking section is one of the best, and their reporting is outstanding. ShareASale is now part of AWIN, but it is still operating independently. 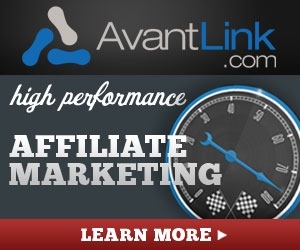 AvantLink is my newest affiliate network and has quickly become one of my favorites, just for the sheer ease of use. I love that their dashboard at the login page has an easy-to-read layout of stats for all of your merchants, and also lists new merchants that you may want to sign up with. FlexOffers isn’t my top affiliate network program, but they seem to have the largest list of well-known merchants such as Macy’s, Nike, and New Balance, their technology is not the easiest to use, in my opinion and their support could be better, but I think they are currently working on some improvements. AWIN is probably my second most successful affiliate network because of my partnership with Etsy.com. I promote a lot of custom baseball clothing, jewelry, and decor and they have a huge selection. One of the best reasons to sign up for affiliate marketing networks is to gain credibility. Your website needs to have good content as well, but getting approved as an affiliate with one network shows that your website is legitimate and helps you to get started with affiliate marketing with other merchant partners. You really can’t go wrong with any of the networks I’ve listed. All of them partner with the best affiliate networks merchants available. Each of them will provide all of the reporting, statistics, links, and information you need to track your online website business in a professional, productive manner.